Groww, a startup hoping to make saving and investment opportunities more widely available to young people in India, has closed a $6.2 million Series A to grow its business. Founded in 2017, the Bengaluru-based company was part of Y Combinator in the U.S. last year and it went on to raise a $1.6 million “pre-Series A” round in June of last year. 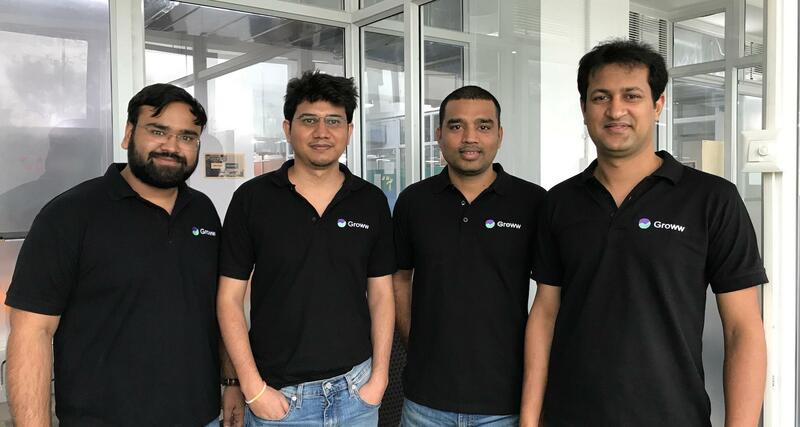 Groww was started by four ex-Flipkart staffers — Lalit Keshre, Harsh Jain, Neeraj Singh and Ishan Bansal — who realized how difficult investing in India is, particularly among young people. This new money is led by Sequoia India with participation from Y Combinator, Propel Venture Partners and Kauffman Fellows. The company also counts Singapore’s Insignia Ventures Partners, Lightbridge Partners and Kairos among its backers. Groww lets its users invest in mutual funds, including systematic investment planning (SIP) and equity-linked savings. It claims more than one million registered users, most of whom are aged under 40 and mobile-first, according to the company. Available on iOS, Android and the web, it offers more than 5,000 mutual funds, which can be invested in directly from its app. Keshre, who is Groww’s CEO and previously led Flipkart’s logistics platform, told TechCrunch that the new money will be spent on hiring and developing tech to support the launch of new products. That could include direct investments and ETFs while, further down the line, Keshre said, there’s an ambition to offer insurance and more. Keshre said the focus is on keeping the app and its design simple but, like Robinhood in the U.S., he said that the broader goal is to democratize investing, particularly among younger segments of the population in India. For now, he added, there is no plan to venture overseas as Groww is just scratching the surface of what it could become in India. “There are 200 million people with investable income in India, but only 20 million investors. The only way to bring the next 180 million on board is by making investing simple,” he said in a statement. Note: Article updated to correct that Groww is available on iOS and the web as well as Android.